Well done to Bryant Blades who won two matches at the Herts Youth Games! 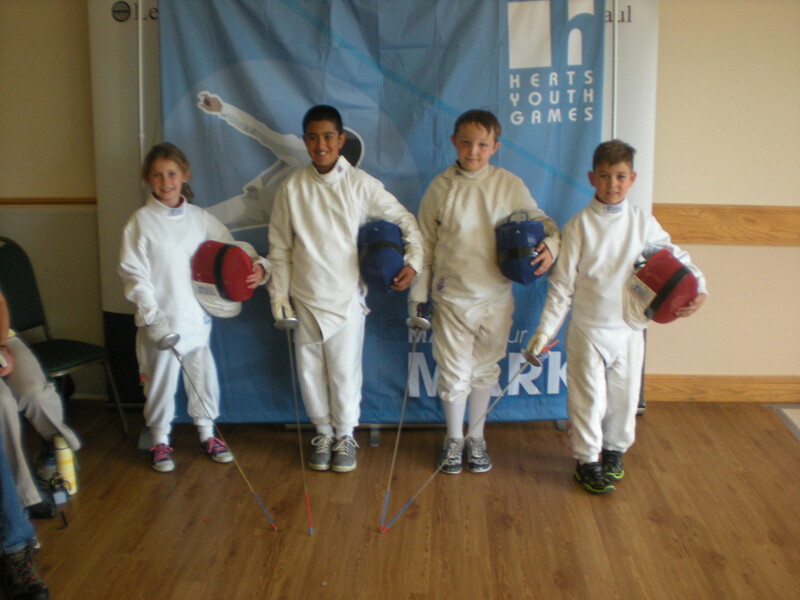 A brilliant effort for our young fencers after only 4 hours of training. This was their first competition. From left, Nicole Williams, Joshua Charsley, James Fullick and Jack Lightfoot. What a fantastic effort from Nicole, James, Josh and Jack. Thanks to Melanie and Lyle for this great opportunity – what a learning curve!